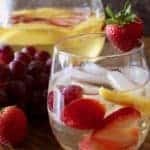 White Sangria, Sangria Blanco, is a wine-based drink with fruit and brandy topped off with club soda. 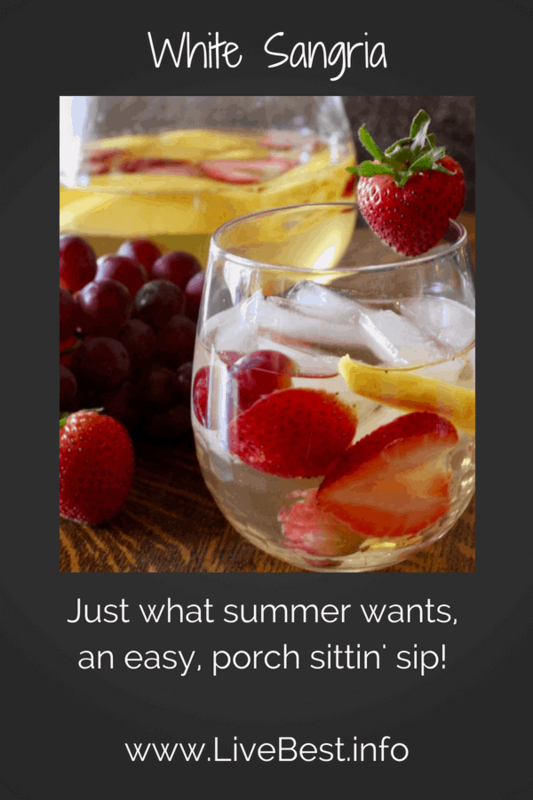 Served over ice, this easy sangria recipe is just what summer wants – a porch sittin’ sip! 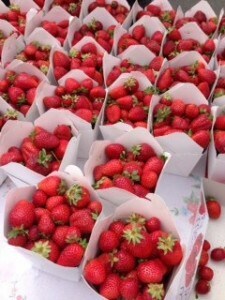 I say when life gives you strawberries, make sangria! But the good thing about sangria is that it’s not picky. 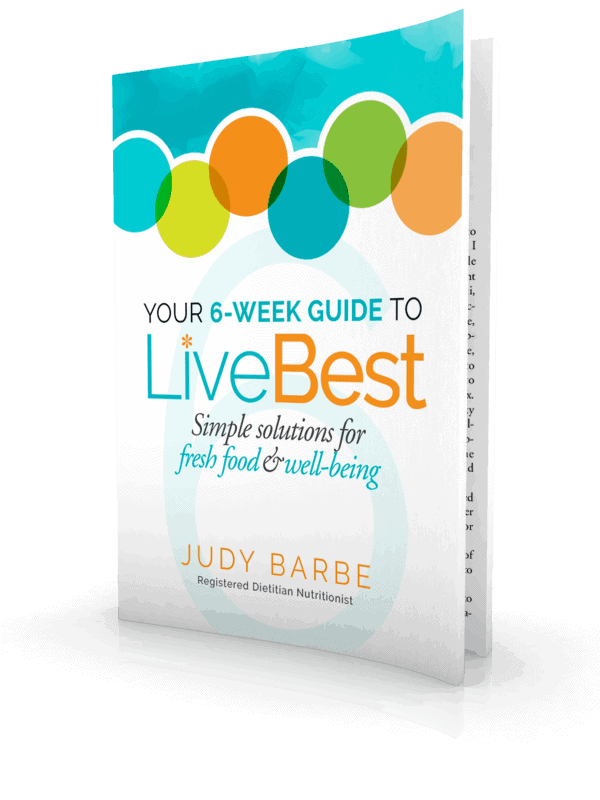 You can use many types of fruit including peaches, mango, apples, grapes, pears, kiwi, oranges, lemons, limes, and even, strawberries. Sangria is wine flexible. too. Red, rose or white wine can be used. Sangria is a wine-based drink with fruit and fruit juices typically combined with brandy or another liquor and topped off with some club soda. Served over ice, it’s a refreshing summer sipper. It’s easy to make, good to share with a crowd or just your sister on the patio. 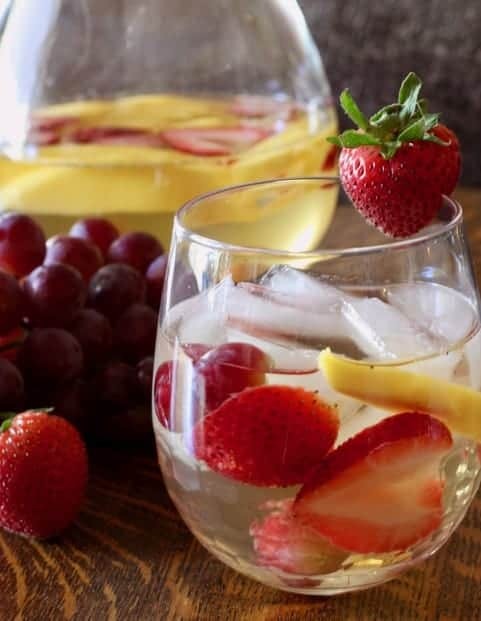 I like a clear, glass pitcher to show off the fruit. 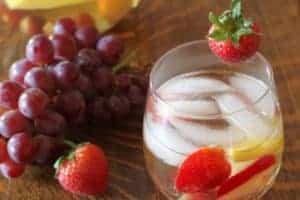 You can serve sangria in a wine glass, but I for outside sipping, I like these without a stem. They are less likely to tip over. I mean, you don’t want to waste a drop! If you like sangria, you might also like an Aperol Spritz. Aperol is an Italian bitter orange liqueur. Mix it with prosecco and soda water add an orange twist and you have one of my favorite cocktails. It tastes best sitting on the canal in Milan!